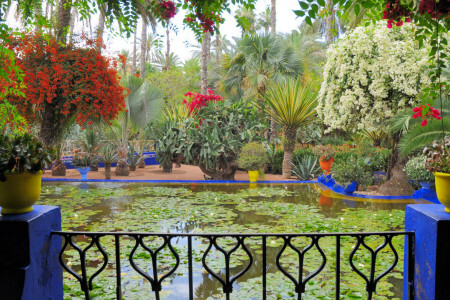 In about every period and art movement, artists have looked for inspiration in gardens. But no two gardens are the same. The exhibition Gardening in Flatland Gallery (7 May-18 June) obtrusively clarifies that. There aren’t a lot of artists who have never pictured a flower or a mountain massif, a stream or group of trees. Mimicking nature is the apprenticeship of precision. But it’s also the ultimate attempt to create beauty and order at the same time. The latter meaning tries to control untamed nature. The garden in that scenario, is the summit of civilization. 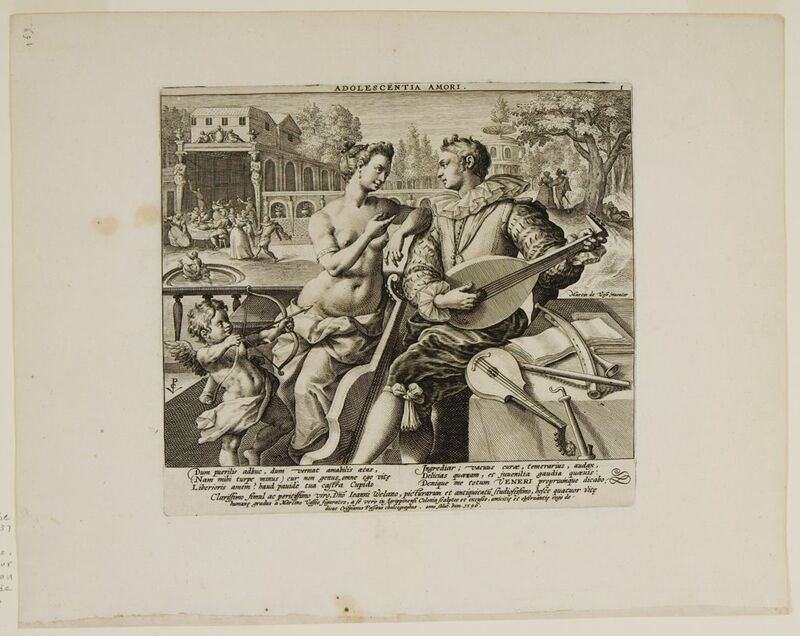 Adolescentia Amori by Crispijn de Passe the Elder (16th century), based on the designs of the Antwerp-based Martin de Vos, pictures a young musician who tries to please the goddess of love. That can’t be hard, as Amor is ready to shoot his arrow. Jolly figures dance in the backdrop. The garden itself seems of no importance here, the sensual love and everything it brings about all the more. 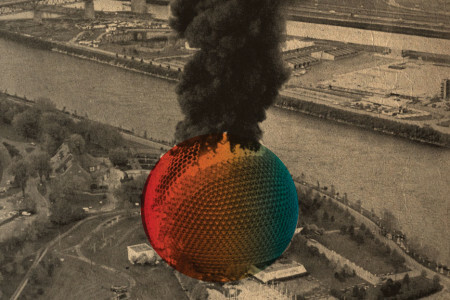 But looks can be deceiving: here too, human kind is inevitably part of a universe. An ordered network of stars and planets, seasons and time, moods and tempers, birth and death. The garden is not just a set, it’s life itself. That thought can be seen in modern artists too. What would have come of Claude Monet if he hadn’t lived in an idyllic spot with a Japanese bridge over a pond? 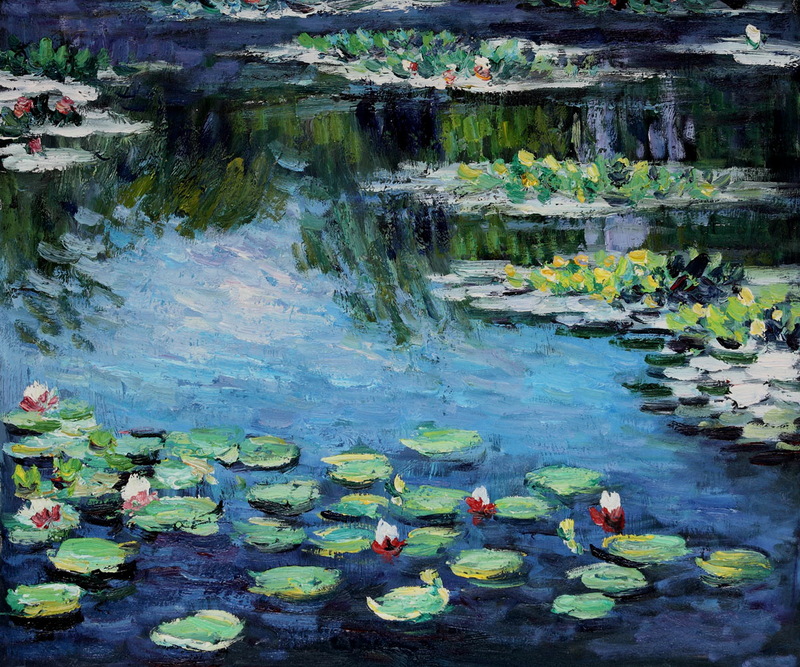 The famous water lilies as ‘reflected landscape’ (without horizon or sky) would have probably never existed. 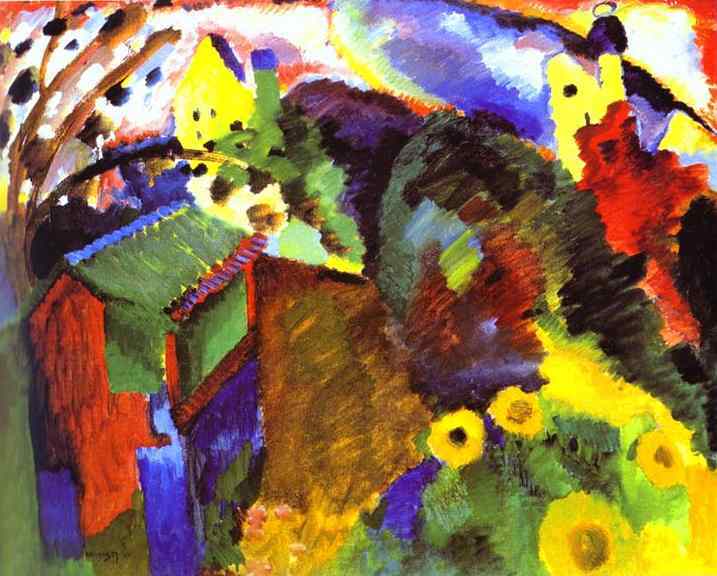 But all those other impressionists, fauvists and avant-gardists too – from Renoir to Cézanne and Manet to Sargent and Kandinsky, Klimt and Klee and Dufy – would take advantage of the garden. It allowed them to break new artistic ground, that in turn triggered small and big revolutions. Along the way, the garden was loaded with virtue and moral meaning: the ploughed yard as emblem and encouragement of the good life. After all, nothing grows without love and devotion. But at least as dominant were darker motives. 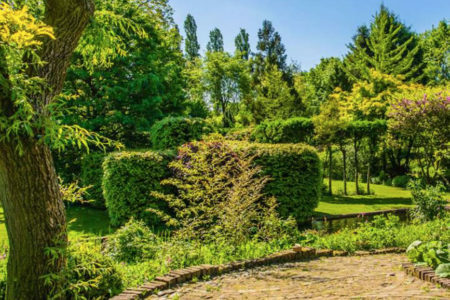 The garden as a projection screen of human disposition: of desire, melancholy and solitude. 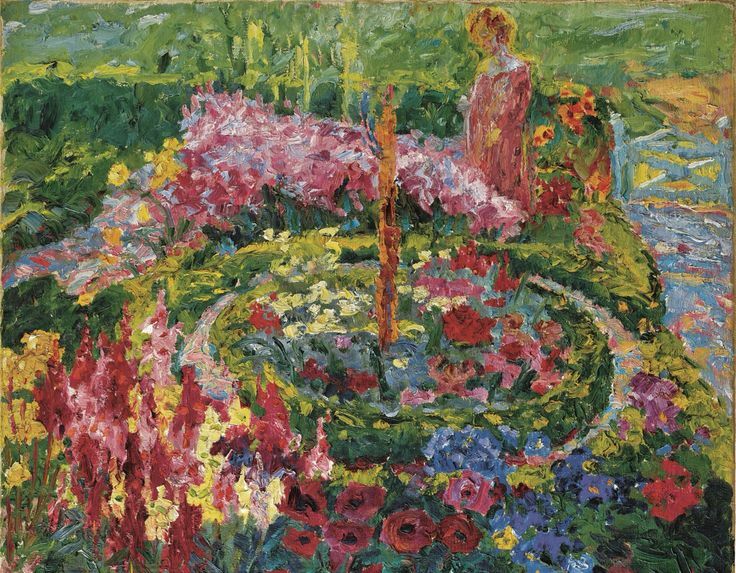 The unsociable expressionist Emil Nolde for example, empathically diverted from realistic nature with his bright flower gardens. The abundance of life thus finds its reflection in an abandoned world. Someone like Edvard Munch would transform similar theme’s – among which is the longing for death – to eternal youth and sultry sensuality. 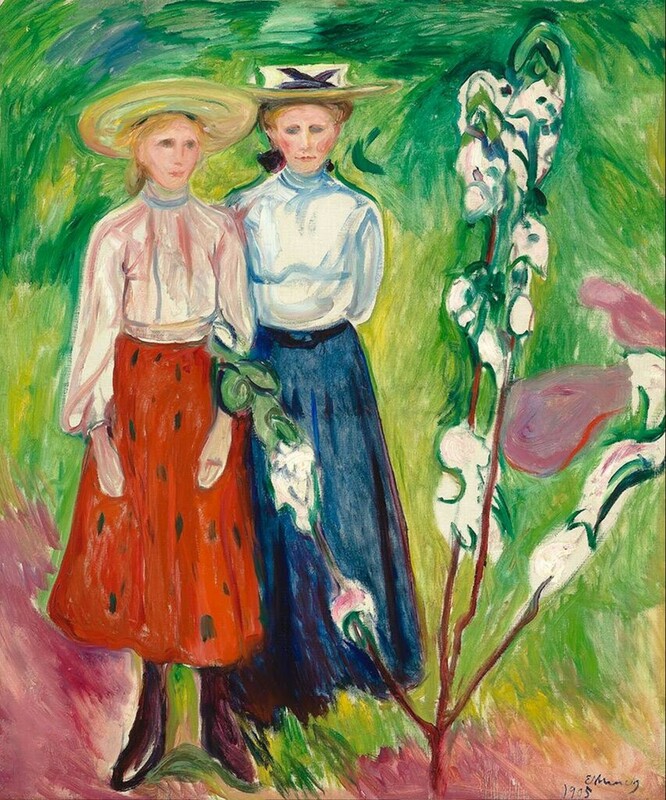 His Two Girls under an Apple Tree in Bloom is quite prudish for that matter, but can be seen as a preliminary study at the same time. 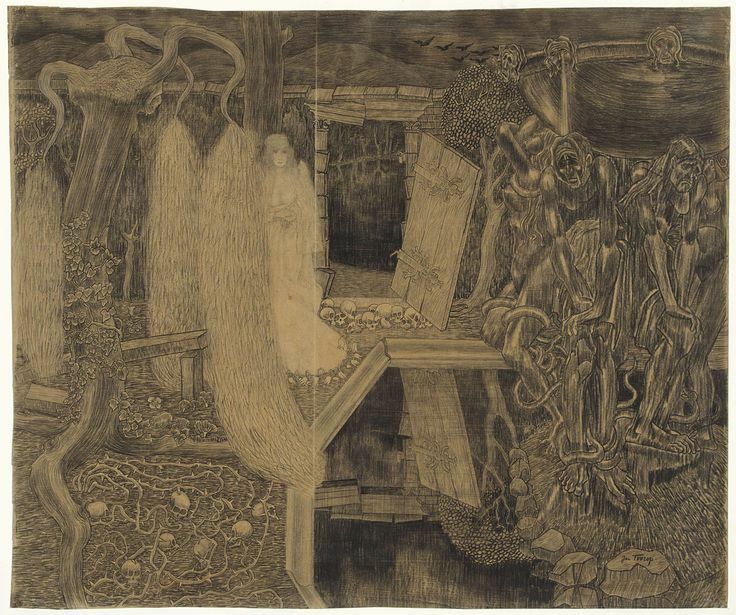 It’s just a small step then, to a versatile symbolist like Jan Toorop, who was ‘in the garden’ for a short period of time too. His Garden of Sorrows pictures the place in which the soul, here represented by a woman, spends its final hours in fear. But even in that detached interpretation of the garden, it remains a source of inspiration or purpose even. The photography of Simone Nieweg doesn’t only breathe the beauty of the image itself; it is at the same time close to the people and the daily meaning of the garden. 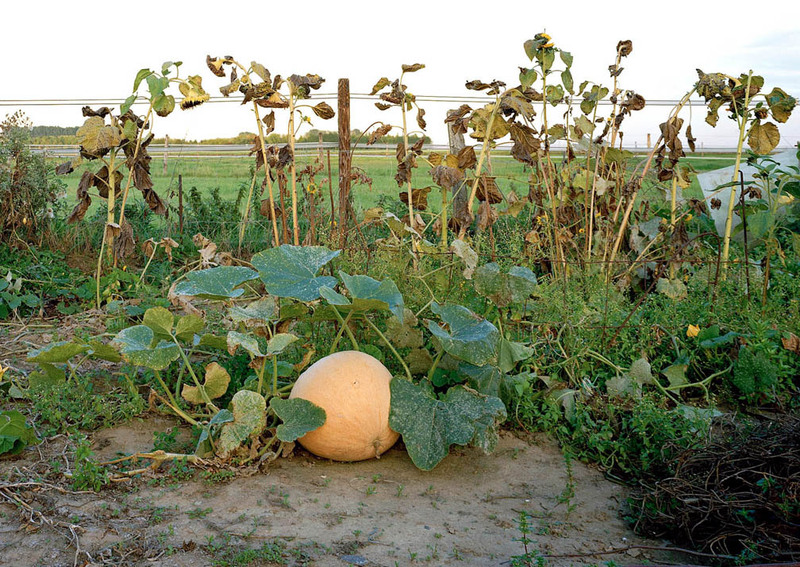 Without cultivating their patch of land, they could have never existed.